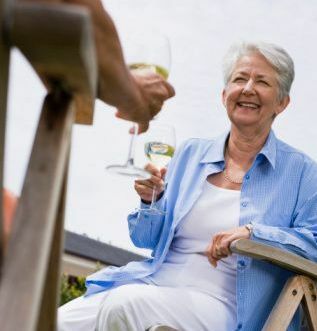 According to a new study, light to moderate consumption of alcohol may offer women in their 70’s, but not men, some protection against loss of mobility. But, investigators warned that the benefit is linked to the drinkers’ lifestyle. The researchers looked at associations between alcohol consumption and mobility levels reported by 3,061 healthy men and women who were 70 to 79 years old. At enrollment, nobody had difficulty walking a quarter mile, climbing ten steps, or performing basic activities of daily living. Over the next 6.5 years, for every six months, the participants had either a clinical exam or completed a mobility survey. When mobility is compared to weekly alcohol intake, which is determined at enrollment, moderate drinking in men and light to moderate drinking in women appeared to be linked with lower loss of mobility. Next articleWhy Some Women Cannot Breastfeed?